A fresh look at a bold and dynamic 20th-century American art style Characterized by highly structured, geometric compositions with smooth surfaces, linear qualities, and lucid forms, Precisionism fully emerged after World War I and flourished in the 1920s and 1930s. 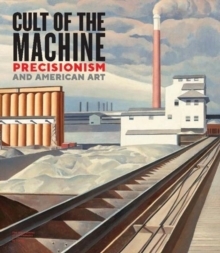 This insightful publication, featuring more than 100 masterworks by artists such as Charles Sheeler, Georgia O'Keeffe, and Charles Demuth, sheds new light on the Precisionist aesthetic and the intellectual concerns, excitement, tensions, and ambivalences about industrialization that helped develop this important strand of early American modernism. Essays explore the origins of the style-which reconciled realism with abstraction and adapted European art movements like Purism, Cubism, and Futurism to American subject matter-as well as its relationship to photography, and the ways in which it reflected the economic and social changes brought about by industrialization and technology in the post-World War I world. In addition to making a meaningful contribution to the resurging interest in Modernism and its revisionist narratives, this book offers copious connections between the past and our present day, poised on the verge of a fourth industrial revolution. Pages: 244 pages, 150 color illus.